1. John Laird 2 3 Martin Gibson 4 Joe Lancaster 5 John Farrell 6 Ricky Gray 7. Apr.2007 GlescaPal gibby, West Lothian. ........Great website ! - lots of great memories! including me in the 1976 John St Football team - I am no 6, next to Joe Lancaster, The guy Holding the sign is Alec"ZEB" lawrance , Keep up the good work ! im positive its steff harper. 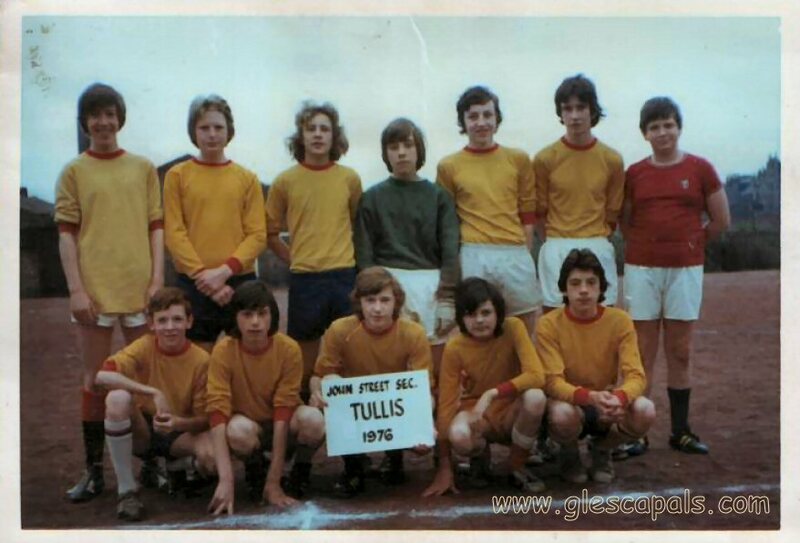 My brother, Willie Lorimer, bottom left - I have this photo! !